One of the most recognized brands around the globe, Maestro is a worldwide debit card service introduced by MasterCard in 1992. It is available in more than 13 million outlets in over 100 countries and is among the most preferred methods for depositing at online casinos. Founded as a purely debit card product, Maestro can now be used wherever MasterCard is accepted. It works much like any other debit card by allowing customers to pay in online or brick-and-mortar shops and outlets directly from the checking or banking account. Compared to the credit card products by MasterCard, it comes with lower fees on average, while the requirements for issuing a Maestro debit card are much less stringent. These cards are easy to use, extremely safe and convenient for making various payments or withdrawing directly from millions of ATMs (automated teller machines). Along with its popular debit cards, Maestro also offers a product line of prepaid cards, which can be used by teenagers or as gift vouchers, as well. Whether you choose the debit or prepaid solutions from Maestro, your deposit into online casinos would be instantaneous and safe. In addition, you do not need to worry about generating debt as it is with the traditional credit cards. With Maestro, casino enthusiasts can indulge in playing their favourite games while remaining responsible gamblers. Below you can find the most reputable and secure online casinos that accept deposits via Maestro cards. Playing in any of them, you do not need to worry about sensitive information such as your card information and personal details. You can enjoy these casinos’ beautiful games with realistic software, great customer support and fast payouts. As mentioned above, Maestro offers mostly debit cards available in a large number of countries worldwide. They function as typical debit cards – they are issued by banks and similar financial institutions and each card issuer has different fees, conditions, and reward programs. While all these cards from different parts of the world may differ significantly in their looks, they all bear the universal Maestro logo – two intermingled circles, one blue and the other red. Debit cards, including the Maestro-branded ones, are linked with the customers’ bank accounts and allow them to make payments directly from them. Although they look like credit cards, they function like electronic checks. Your bank or other card issuing institution can verify that the funds are available in your account and then, it approves the transaction. Still, purchases and deposits into web-based casinos are incredibly fast. The traditional bank or wire transfers often take longer to process and come with higher fees. In fact, Maestro debit cards can be used not only for making purchases or paying bills – customers can receive payments safely and in a speedy manner without sharing the details of their banking or checking account. However, withdrawals to Maestro is not so straightforward and many casino enthusiasts may need to look for an alternative way to get their casino winnings. As with all multi-national credit or debit cards, Maestro cards support a huge number of currencies, including all major currencies such as EUR, USD or GBP, and many more. The main payment product by Maestro is its debit card, which comes with only basic requirements for issuing. In order to apply for this type of card, customers need to have an account at a local bank – most banks around the world offer at least two or three Maestro debit cards. Casino enthusiasts who wish to get one will need to apply, providing personal information such as name, email, physical address, and phone number. If they have no bank or checking account, they will need to open one to receive a Maestro debit card. The credit card institution does not check customers’ credit status, which is a great advantage compared to the application process for credit cards. Once customers receive their debit cards, they can start making payments both online and in land-based stores. Getting a prepaid Maestro card is even easier – you do not need to provide any personal details and you can purchase such a card online, from your bank, or at thousands of partner retailers. However, when applying for a Maestro debit card, you may need to specify that you will need to use it via the Internet. Your bank will then provide you with a 4-6 PIN number you will use to authorize every single transaction. As an international debit card brand, Maestro can be used at online and land-based retail stores, restaurants and gas stations, ATMs and online casinos all over the world. 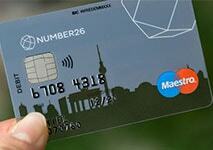 This includes the United States of America, although MasterCard is a much more popular option in the country. Casino patrons should know, however, that in most cases, they will not be able to use Maestro at online casinos due to the current legal restrictions in the U.S.
Once your Maestro debit card is cleared for online payments, you will use its number and PIN to shop or gamble over the Internet. For transactions in land-based outlets, you will be required either a PIN or a signature to authorize a payment. With some contactless Maestro cards, no authorization is required. In each case, the transaction needs to be verified by the card issuer as your bank account cannot be overdrawn (when customers are allowed to withdraw from a negative account). In the occasion that you try to transfer more funds than you currently have in your bank account, the transaction will be rejected. Maestro prepaid cards are payment cards loaded with a fixed amount of funds. They are often used as gift cards or shopping vouchers at a large number of stores. They have a card number and an expiration date, but they usually do not display the name of the cardholder. These cards are very similar to debit and credit cards but work very differently – they do not provide you with a line of credit as credit cards and they do not link with your bank account like debit cards. In fact, you do not need a bank account to purchase a Maestro prepaid card. You can buy them from various land-based and online retailers, banks or other financial institutions. Depending on the specific issuer, they come in denominations from $10 to $1,000 and you do not pay any additional fees above that fixed value, except for small processing fees you might be charged during making a transaction. While some of these cards are usable only while there are funds in them, others can be reloaded after the initial money in them is depleted. In this case, you can use them multiple times. Making a deposit at an online casino via Maestro is extremely simple. Hundreds of web-based casinos accept these cards as players find them convenient and safe. In order to make a deposit, casino patrons need to open the Cashier or Banking section of the gaming platform they have chosen. From the list of deposit options, they need to pick Maestro (or MasterCard) and specify the amount of money they wish to top up their gaming account with. Similarly to depositing via credit cards, deposits through Maestro require filling several empty fields – the card number (16-digit number) and the expiration date, while the CVV or security code may not be necessary. Unlike many other card brands, Maestro uses 100% cardholder verification – while the MasterCard SecureCode is validated online, the PIN is validated offline. PIN stands for personal identification number and the bank gives it to customers along with the plastic debit card. The PIN and the CVV code are never stored by retailers or card issuers, which guarantees higher levels of security. Once you enter all details about the transaction, your bank instantly verifies (or rejects) it electronically and your deposit appears in your gaming balance within minutes. Sometimes deposits can be denied because the customer tries to deposit more than what is available in the debit card. In other cases, banks may simply reject any all gambling-related transfers. Although this is not very common, it could still happen – if it does, you may try to use the same Maestro card at another online casino or deposit via another card. Unfortunately, withdrawals to Maestro cards are not possible in most online casinos. Due to MasterCard International’s restrictive policy against using their cards for gambling purposes, their brands, including Maestro, are not available for cashing out your winnings. Casino players would need to find another way to retrieve funds from their gaming accounts. However, some casinos would still allow withdrawals to be made to Maestro debit cards. Before deciding to play at one casino or another, players are advised to consult the Banking page of each website. It is also a good idea to contact support representatives in order to receive more detailed information about the deposit and withdrawal methods on offer. One of the greatest benefits of using Maestro for casino deposits is that these cards are extremely safe. Most casino players would opt for this brand of debit cards for one major reason – the low security risk when using Maestro online. When authorizing a payment, customers need to write down the exact card number (a 16-digit number), the CVV code, as well as the correct expiry date. In addition, MasterCard’s SecureCode gives yet another layer of protection. The so-called SecureCode is a unique personal code provided by the card issuing institution. Customers who have a MasterCard or Maestro cards can apply for SecurityCode and receive information on how and when to use it. This is a secret, one-time code that is usually sent to you by the bank by means of a text message (or via another method). When making an online payment, you may also be required to enter the SecurityCode and with it, your identity would be verified. Note that just like with the PIN number, the SecurityCode is not printed on the Maestro card. It is also essential to understand that not all retailers participate in the SecurityCode system and may not be able to enhance your online security. Online casinos that offer this kind of protection would normally display the red-and-yellow MasterCard SecureCode logo on their websites. Of course, this is just one of the many security measures Maestro have taken to improve the safety of their customers. The debit and prepaid cards of this brand use digital encryption, various security technologies, as well as the additional Maestro Advanced Registration Programme (MARP). MARP allows online merchants to authenticate the cardholder and card details with the bank only one time, using their own strict security protocols. Usually, casino players should encounter no fees when depositing via a Maestro card. This is a fast, secure and inexpensive option to top up your gaming account which is why it is preferred by thousands of casino players. In some cases, however, casinos and card issuers may charge small processing fees but they would be around 2% to 3% of the value of the deposit. When speaking of fees and limits, customers should remember that Maestro cards are issued by different banks. This means that each card would come with its own conditions, fees, limits and reward programs. Often, the minimum deposit you can make with Maestro is $10 – only a few casinos on the Internet would accept a deposit smaller than this. In the rare occasions when withdrawals to Maestro cards are allowed, they would be capped to around $2,500 per transaction. There are many reasons why Maestro cards have become so widely popular around the world. With them, customers shop at thousands of retail shops, buy gifts, withdraw cash from ATMs, and make various payments online. Many web-based casinos also offer Maestro for deposits, processing the transactions instantly from the card to the player’s gaming account. The instant, real-time deposits and the low processing fees are huge advantages of using these cards for online gambling. But players can also monitor all transactions via their online banking service and even sign up for notifications via text message whenever their debit card is being used. Another advantage of Maestro debit and prepaid cards, especially over the use of credit cards, is the fact that you only spend what you have. It is impossible to accumulate debt while using a debit or a prepaid card as the service does not provide you with a credit line. There are a few additional benefits when using a prepaid card – you only spend the funds you have loaded into the card beforehand and you do not need to worry about card theft or fraud. The single-use prepaid cards by Maestro guarantee safety, convenience, and often, anonymity over the Internet. Last, but not least, many online casinos offer reload bonuses for deposits via Maestro (the same applies to the largest credit and debit card brands like MasterCard or Visa). Such bonuses may not be exceptionally large but they would certainly boost your gaming experience. There are not many downsides to using Maestro in online casinos, especially when you compare it with other banking methods such as credit cards, bank transfers, or checks. One obvious disadvantage, however, is that these cards are not always available for cashing out casino winnings. There are certain country restrictions, as well as terms and conditions of banks that do not allow for withdrawals from gambling sites to Maestro cards. There is a relatively easy way to circumvent these restrictions, on the other hand. Many casino players manage to use their Maestro debit cards for depositing and withdrawing by linking them to various e-wallets such as Skrill, Neteller, or PayPal. Most casinos process payouts to international digital wallets without charging fees and in a secure and very fast manner. Once you have your winnings in your web wallet, you can transfer them instantly to your Maestro card. Then, you can withdraw them from an ATM, use them to shop online, or deposit them into your preferred casino and continue playing. Maestro is owned by MasterCard, a respectable global leader in payment services which operates in almost every country and on all continents. You can use this debit card whenever you see a MasterCard logo. This makes Maestro an exceptionally convenient, versatile and accessible option for casino players who want to use any of its debit or prepaid cards online. This payment method is easy to use and customers do not need to pass credit checks when applying for Maestro. This is a trusted brand that guarantees casino players that their sensitive data will be kept securely and will not be shared with third-party operators. Maestro takes extra measures to ensure the safety, privacy and confidentiality of its customers. Transactions are processed instantly and rarely have additional fees. Casino players who wish to deposit via this debit card should first check if they are allowed to withdraw their winnings the same way. Some casinos do offer Maestro as a withdrawal option but you still may be restricted to transfer your funds there, depending on your country of residence.